These are wonderful native Chilean fruit. 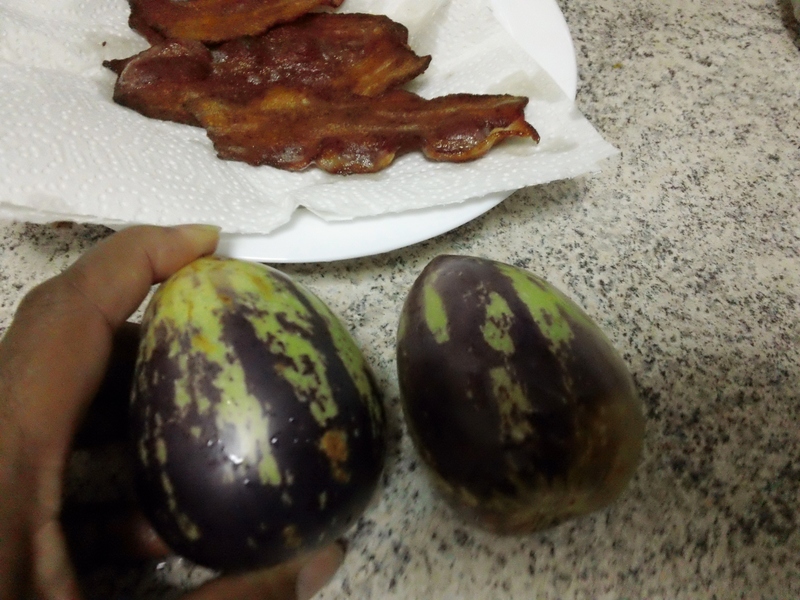 As promised, here is my review of the Chilean Pepino de Fruta…mavarillosa!! Not only did it taste good it actually smelled good. I can’t believe no one has capitalized on its fragrance as an air freshener. 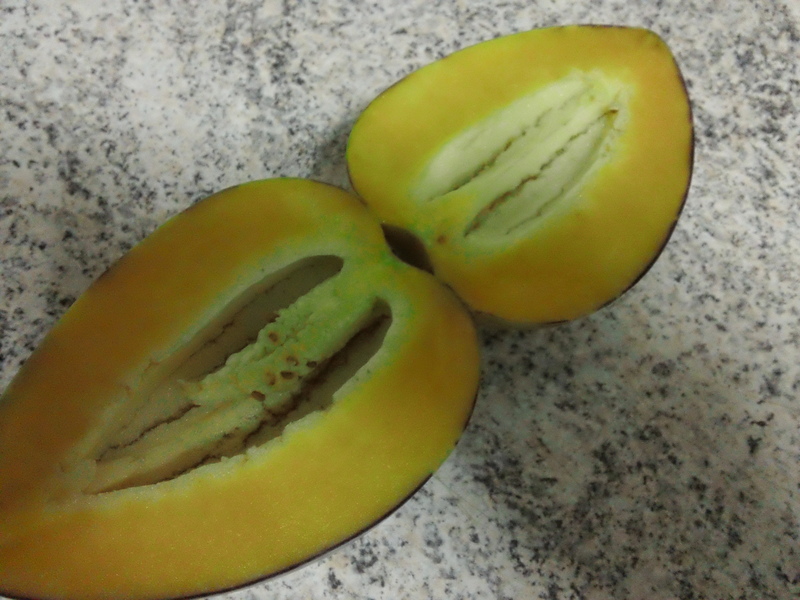 The fruit had the taste and consistency of a melon, like a honeydew, but much sweeter than a typical honey dew you would find in the United States. Before I ate it, I did an internet and YouTube search to learn more about the fruit. One lady’s YouTube video scared me to death as she chose to eat the seeds and said it tasted like “vomit” to her. I’m sure glad I didn’t get her kind of pepinos. Also, another Guy in Texas had one that he said was not very sweet and provided a recipe for blanching, peeling, and adding sugar to a pot of hot water in an attempt to make them more edible. Nevertheless, you can imagine my surprise when I sliced into this Mediterranean deliciousness after hearing their scary testimonials. In my research, the information indicated that the Pepino does not travel well as a fruit export. However, both China and Australia are experimenting with agricultural technologies that will allow for better travel of the fruit. The sliced picture is of my original pepino and I hurried to the neighborhood verduria today so as to purchase more for my trip to Santiago tomorrow. All of the larger Pepinos ones were gone when I arrived this evening and only these smaller ones where there today, so I purchased 5 of them. 🙂 They were just as tasty as the original one. 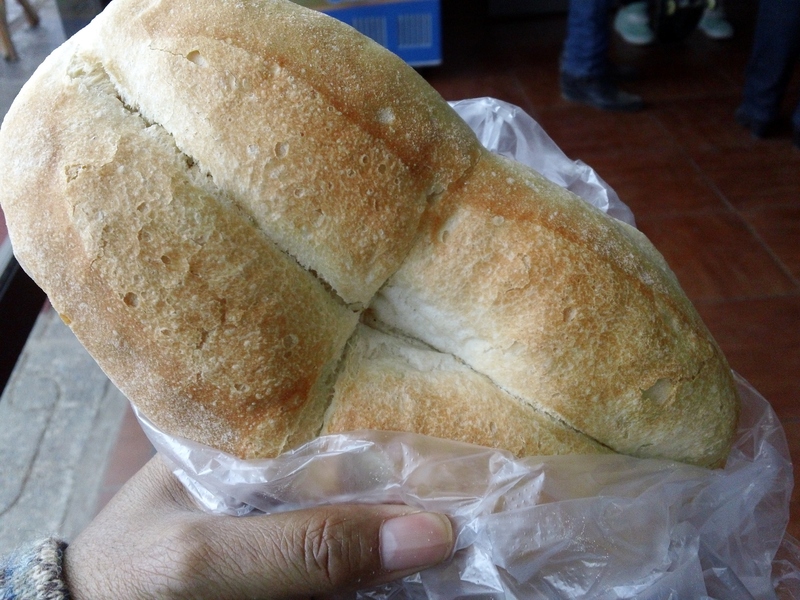 Additionally, some fresh breads had also just arrived to the store when I was there, but I typically don’t care too much for many of the Chilean fresh bake breads. They seem too doughy for my taste. But, this particular loaf was wonderful and the bread had more of what you might see in an Italian bake style. So I made a yummy mini bacon sandwich for lunch along with some Pepino, Plátanos, y miel (Pipeno, bananas, and honey) in a bowl. 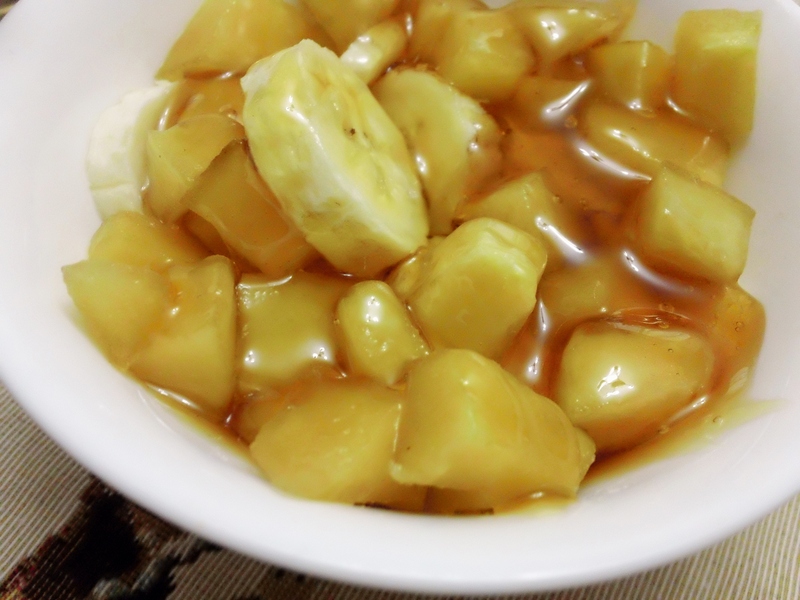 Neither the bananas nor pepinos needed sweetening, but I was trying to use the last of my honey I had leftover from fighting a cold. Ha ha! I think this Sony Bloggie Touch Camera does a really great job with both videos and still photos. 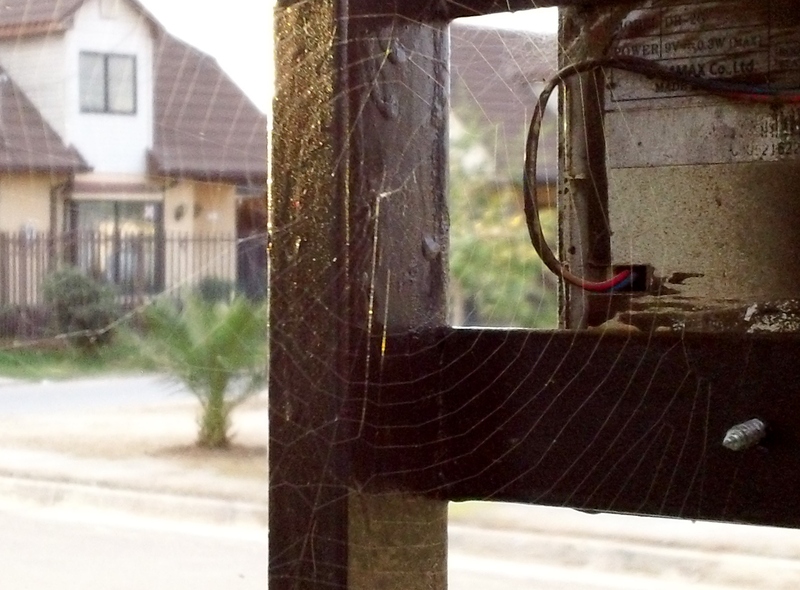 My Bloggie Touch camera had not been focusing well lately, so I decided to test it and see if I could get a quality picture of this spider web. At first, the shots were terribly blurry, but after I tapped the shooter button a couple of times, it appeared to cause the camera to focus better which allowed me to get this amazing spider web shot. Pretty cool huh? 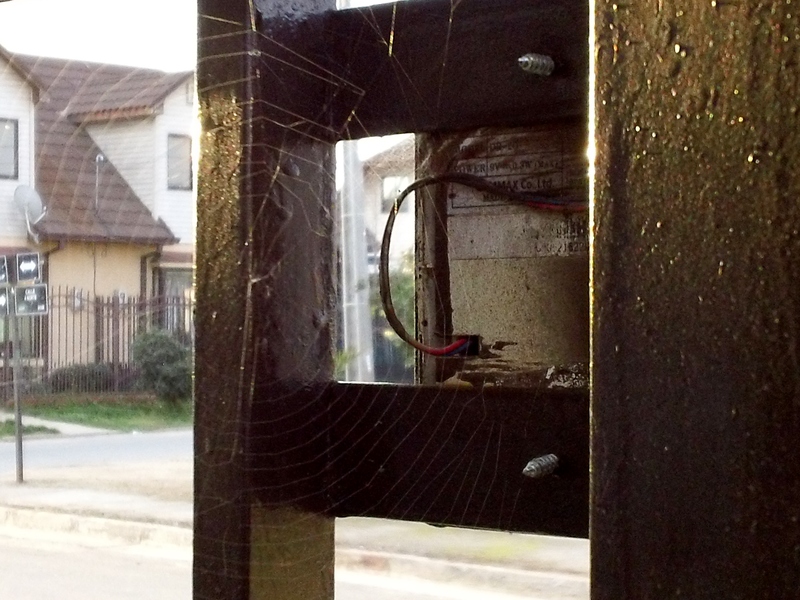 Can you see the details of the spider web? Ok, gotta get my nap on as I have a long 3 hour bus ride to Santiago in the afternoon. I apologize if there are a lot of grammatical/spelling errors in this post. It takes me forever to pack and I was up late last night. I’m excited about going to Santiago with plans for visiting the Chilean museum of art and the symphony. I’ll share those here as well when I can. ¡Chau Chau! This entry was posted in Adult Education, Blog Archives, People and Culture, Visiting Scholar and tagged Adult education, Chile, Civic Engagement, Food, Pepino de fruta, South America, Study Abroad, Talca, University of Georgia, Visiting Scholar. Bookmark the permalink. I just expanded on the blog post a little more. The Pepino tastes like a honeydew melon to me. It’s in the same plant family as the evergreen. I’ve read on the internet where some have placed it into the cucumber and tomato families as well. I don’t understand that categorization because the Chilean Pepino is definitely sweet! You link didn’t work when I click on it. Sorry. Claro que sí. Estoy siempre lista para ayudar un otro investigador. 🙂 Buscaré en su enlace. Espero que no sea spam! !